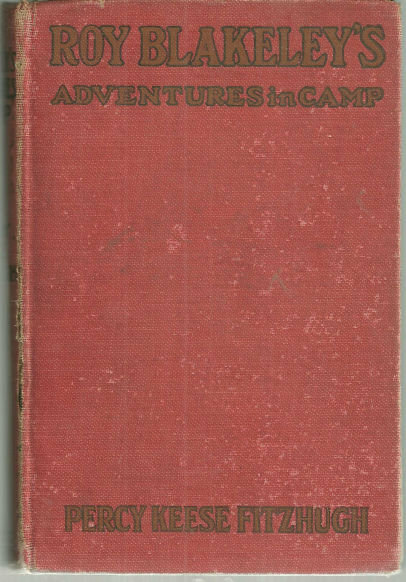 Roy Blakeley's Adventures in Camp by Percy Keese Fitzhugh. New York. Grosset & Dunlap. 1920. Hardcover. Illustrated by Howard L. Hastings. Good with no dust jacket. Edges bumped, cover is spotted, previous owner's name, spine weak and cracked. Front endpaper is worn. Roy Blakeley Series Vol. 2. 235 pages.